Pataskala, Ohio (7 February 2019) – From the unmistakable street graffiti look to the iconic race-winning Lady Liberty, Meyer Shank Racing (MSR) has long stood apart from the crowd with innovative and striking liveries. 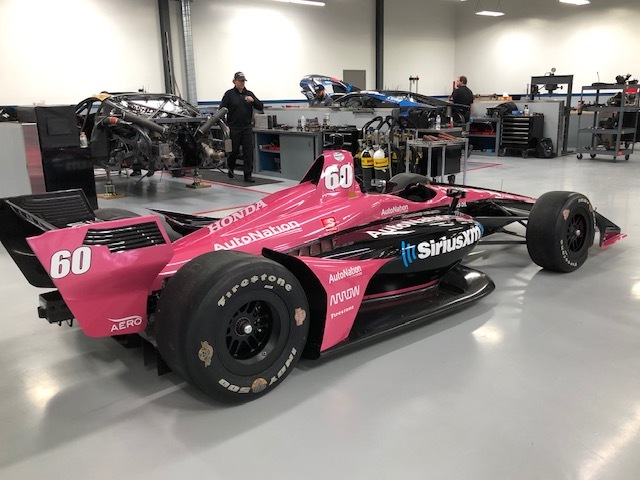 Entering the 2019 NTT IndyCar Series season with an expanded race program, the squad will continue to impress with the use of AERO Sustainable Paint Technology as it once again celebrates the “Drive Pink Campaign” with partner AutoNation. The team returns IndyCar competition with a stunning AERO Liquid Metal™ Series pink livery for the No. 60 AutoNation/SiriusXM Honda-powered IndyCar driven by Jack Harvey in support of AutoNation’s nationwide campaign. The campaign aims to fund cancer research in hopes of finding methods of treatment options for breast cancer patients. AERO Sustainable Paint is no stranger to MSR as several of the team’s liveries have been created with the innovative paint method. On top of having incredible strength, lightweight and aerodynamic qualities, AERO also provides a massive environmental advantage over traditional paint application methods. For the signature AutoNation pink, MSR engaged AERO engineers in a custom color program to perfectly capture the exact color, finish, and sheen of its sponsor’s brand vision. Some of MSR’s most iconic liveries have been created using AERO Sustainable Paint, such as its 2016 Petit Le Mans-winning gold Daytona Prototype. When the team moved to launch the Acura NSX GT3 program in 2017, AERO was once again on board as the team raced to victory lane twice in the first-ever season with the Acura Motorsports program. The team was as nimble with the liveries as they were on track, utilizing a full eight different liveries with AERO through the course of the 2017 season. The No. 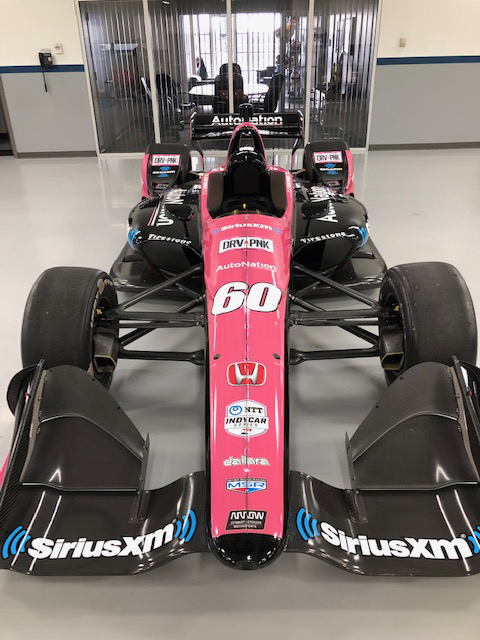 60 AutoNation / SiriusXM Honda will make its first on track appearance at the one day test at WeatherTech Raceway Laguna Seca on February 8th and will head directly to Circuit of the Americas for the official NTT IndyCar Series Spring Training on February 12-13.